Inma was such a professional and knowledgeable tour guide. Her English was great. She made the tour so enjoyable. We loved the fact that she was from Toledo and knew her history. She saved us time by skipping the lines at the attractions. She was so nice and made the tour so lively. 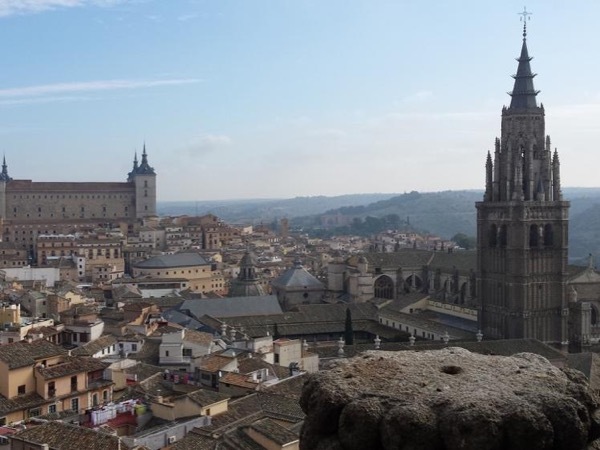 I would definitely recommend Inma to tour you through the small streets of Toledo and she makes you feel like you were back in time with the rulers, artists , and people. TOUR GUIDE RESPONSE: Dear Kay, I´m sorry to hear that you were involved in that terrible situation but happy to know that you are safe back home. It was a pleasure to meet you in Toledo. Thank you for comming!